I came up with 4 different designs that I will share over the next week or so. They were all made with Lily Sugar and Cream yarn. I bought the 4 oz super size balls on sale at JoAnn's in Rose Pink, Hot Pink and White. With one ball of each color I was able to make the project that I bought them for as well as these four dishcloths and I still have some left to use for something else. 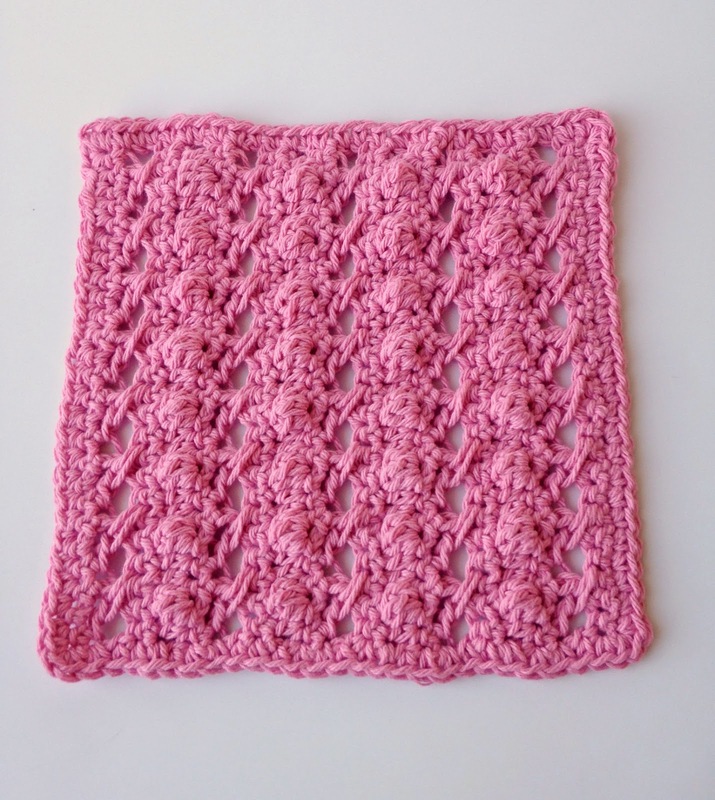 The first dishcloth that I am sharing I am calling X's and O's. 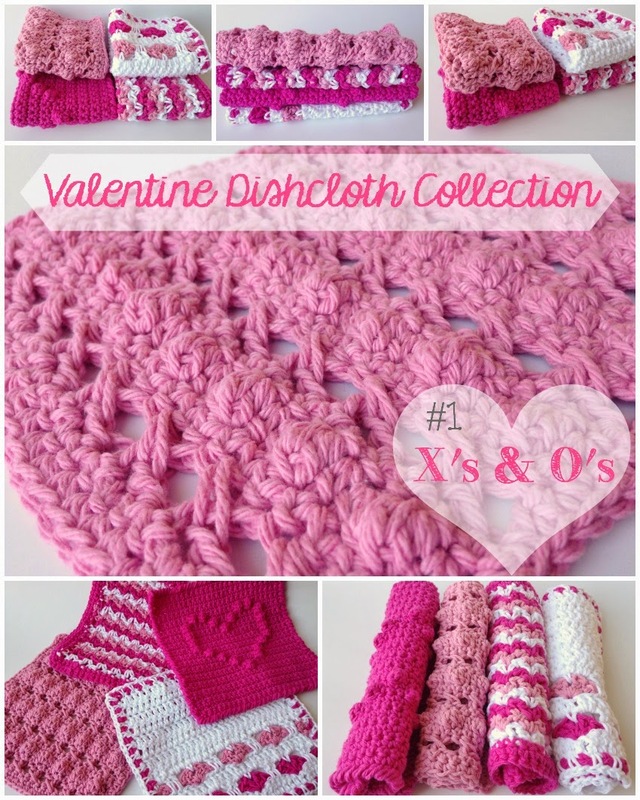 My idea when designing this was to use stitches that would represent x's and o's since that is something often associated with Valentine's Day. I don't know that it worked as well as I had hoped, or turned out exactly the way I had envisioned in my head but nevertheless, here it is. 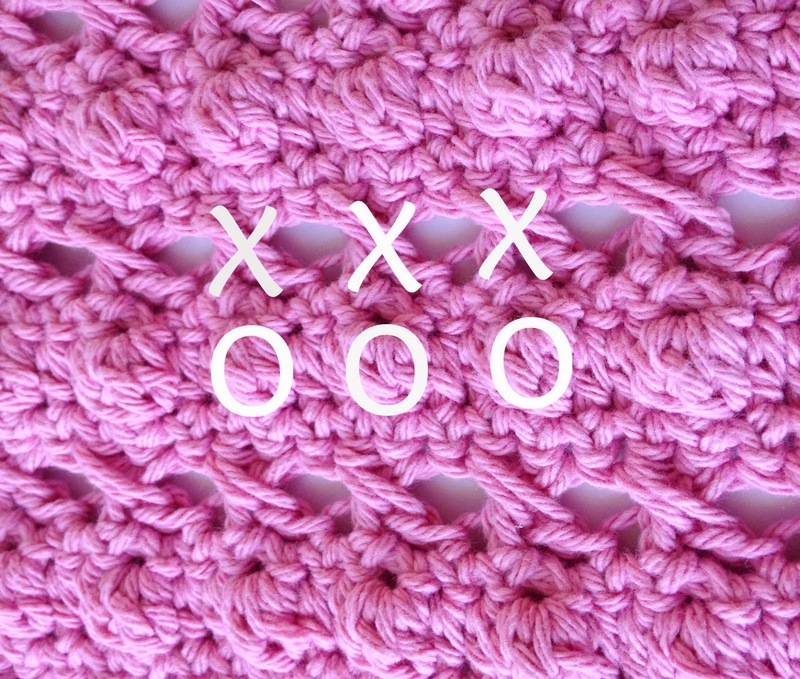 I used crossed double crochet's to make the x's and for the o's I used a bobble type stitch. I think it would have looked better if I had used an open stitch to make the o's but I am not a huge fan dishcloths that are made with a really open stitch pattern that leaves a lot of holes. I do however, like a lot of texture to make them more scrubby. I felt like the bobbles would give it texture rather than holes while still having the round shape to represent the o's. Like I said, I am still kind of undecided about whether or not it actually worked but even if it doesn't look like x's and o's it still makes a nice scrubby dishcloth. 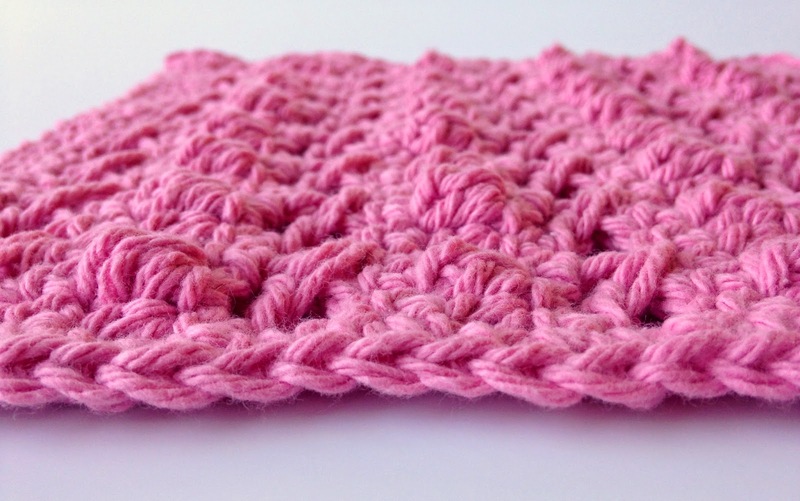 You can see that the combination of bobbles and crossed stitches creates a lot of texture on the dishcloth. 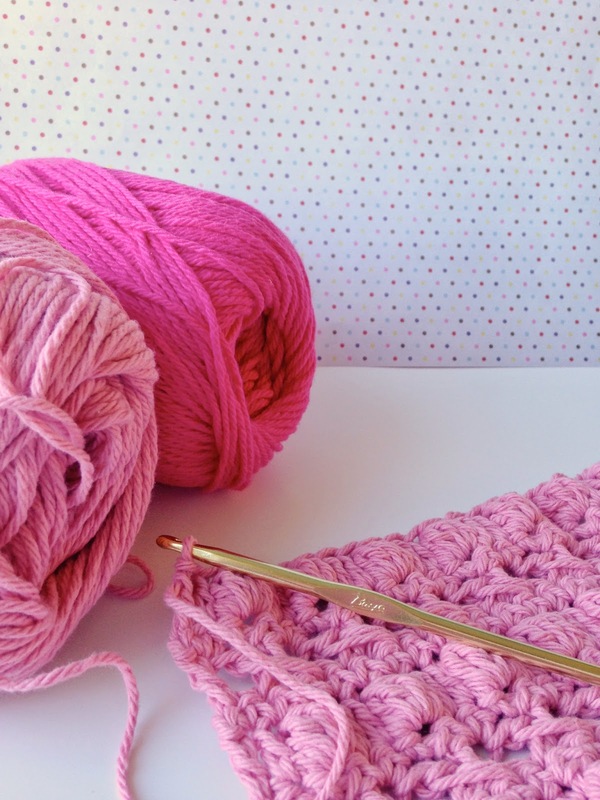 *Bobble: (yarn over, insert in space and pull up yarn, yarn over and pull through 2 loops), repeat 2 more times, there should be 4 loops on the hook, yarn over and pull through all 4, bobble made. You may need to push it out a little with your finger to make it pop out. Repeat rows 2-5 three more times then repeat rows 2 and 3 once more. You should have 5 rows of x's and 4 rows of bobbles. 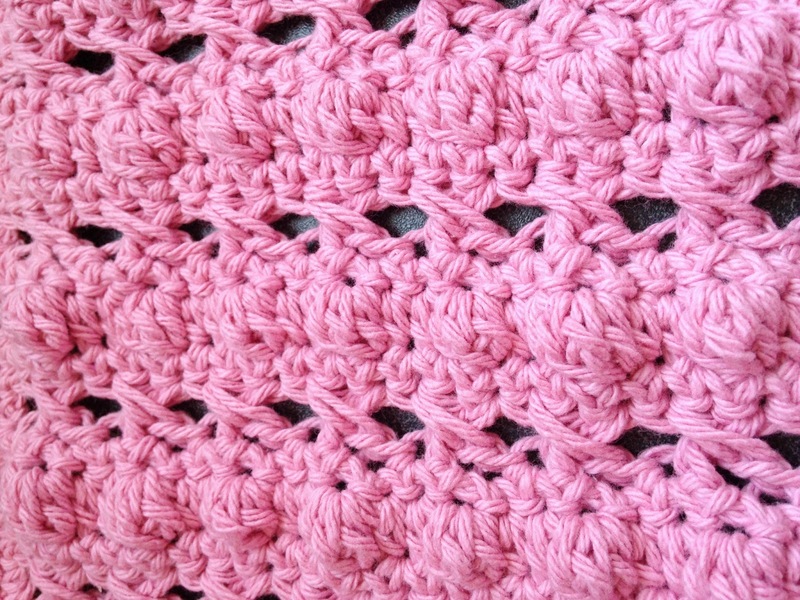 To finish sc around the outside 1 sc in each stitch along top and bottom, 3 in each corner and evenly along the sides. Slip stitch to first sc. Finish off and weave in ends. That's it. One down, three more to go. Look for them later this week and possibly next week. Hello Erica! This is really gorgeous! I love the pattern and the lovely idea! Thank you for sharing! Such beautiful dishcloths! Thanks so much for sharing the pattern. 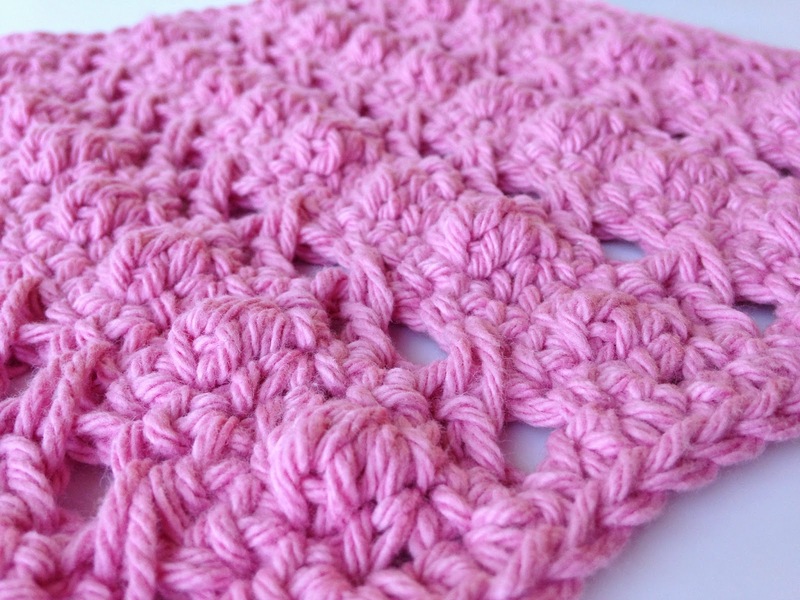 I will definitely be adding this pattern to my "to crochet" list. And hopefully get some done by Valentine's Day. Very Cute! Love the X's and O's. Thanks for sharing the pattern!